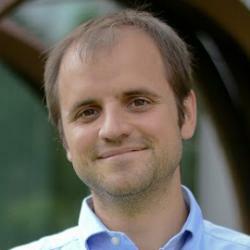 Christian Catalini is the Fred Kayne (1960) Career Development Professor of Entrepreneurship and Assistant Professor of Technological Innovation, Entrepreneurship, and Strategic Management at the MIT Sloan School of Management. His research focuses on crowdfunding, Bitcoin, how proximity affects the recombination of ideas, and the economics of science. In 2009-10 he was a visiting scholar at Harvard IQSS. He has presented his research on proximity and innovation at a variety of institutions including Harvard University, MIT, Yale University, and London Business School. Christian holds a BE in International Markets and New Technologies, and an MSc in Economics and Management of New Technologies from Bocconi University, Milan, and a PhD in Strategic Management from the Rotman School of Management at the University of Toronto.